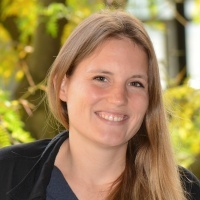 Alexandra received her Bachelor in Mechanical Engineering from ETH Zurich in 2014. Thereafter, she did an internship at Zühlke Engineering, which does project based consulting. Her tasks and responsibilities reached from product development, testing, data analysis, CAD construction, FEM simulations, CFD simulations, patent research to innovation workshops. Alexandra joined the Interface Group from September 2015 to March 2016 for her Master thesis in Mechanical Engineering, where she modelled the deformation of a Red Blood Cell in a Ventricular Assist Device. After her time with the Interface Group, Alexandra is back at ETH to do the didactic certificate in mechanical engineering. At the same time she works as a project manager at ETH juniors – the student run enterprise of ETH Zurich (http://www.ethjuniors.ch/team). She would like to stay in the project based consulting business in the future, but if there is another opportunity in research or industry plans might also change.